The army always has a plan, and your formation has a mission as part of that plan. 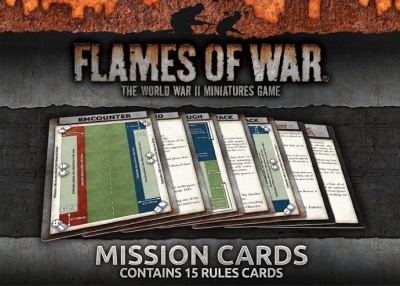 While you can just stick your forces on the table and fight until one side is completely destroyed, missions and scenarios add a whole new level to the game as players struggle to tank or defend specific objectives or achieve goals vital to their war effort. 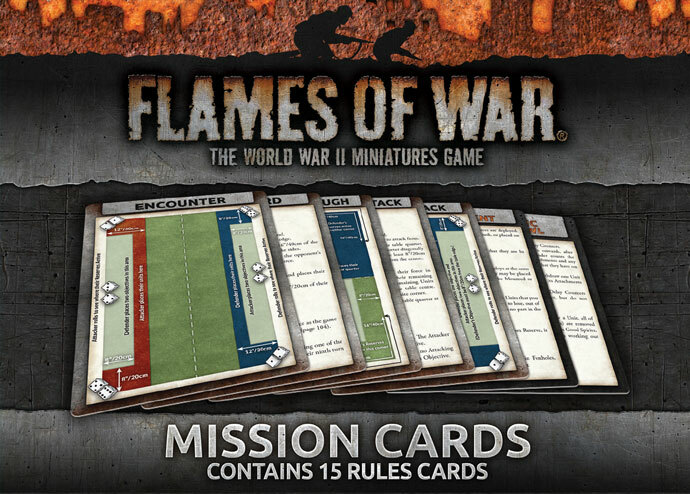 The Mission Cards pack contains all the Missions found inside the V4 rule book as well as a series of Mission Special Rule Cards to make it easy to reference the Mission (and Rules) during a game without having to flip through your Rule book.